We’d love your help. 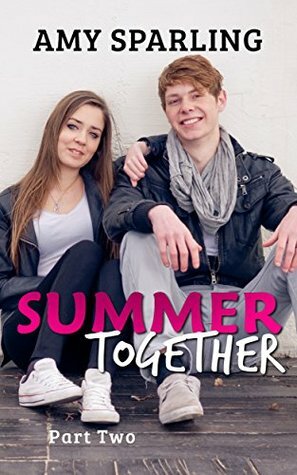 Let us know what’s wrong with this preview of Summer Together by Amy Sparling. Want more of Jace and Bayleigh from Summer Unplugged? Don't miss part 2 of Amy Sparling's new series, Summer Together. It's the summer after graduation and Bayleigh just asked Becca to be her maid of honor. Determined to give her best friend the greatest wedding ever, Becca has a lot on her plate. When she thinks she's finally got everything under control, a certain member Want more of Jace and Bayleigh from Summer Unplugged? Don't miss part 2 of Amy Sparling's new series, Summer Together. To ask other readers questions about Summer Together, please sign up. I am in love with Park!!!! Can't wait to hear more about Park and Becca. Holy crow! Becca is playing with some dangerous fire!!! The second installment of the four book series is even better than book one! I love the fact Becca is being true to herself and not falling for the players game, though at the same time, I understand why she's so tempted! Two novellas to go... and enjoying them completely. More typos than part one - distracting me from the reading. Good story line that goes along nicely with the summer unplugged series. The second book in the story of Becca's reinvention. She is newly single and is working on her best friend's wedding but is feeling a bit lonely. At the wedding, an blast from the past shows up and makes her heart race. Now her problem is bringing out the new bolder Becca and to stop being the wallflower. I liked this book because it's when they both meet again for the second time. Also I love their relationship because he's willing to do anything for her as long as she's happy. It's also when he decides he wants to settle down and he'll do anything to make sure it's with Becca. I love this series I hate cliffhangers with a passion, I'm happy that Becca finally meet park, I hope they end up married and having babies. A decent book that is a pretty quick read. I would recommend this book to young readers above the age of 16. A story about Becca, a girl who is experiencing young love for the second time.